A couple of years ago I posted a pretty basic recipe for making lemonade, which surprisingly, was very well received. 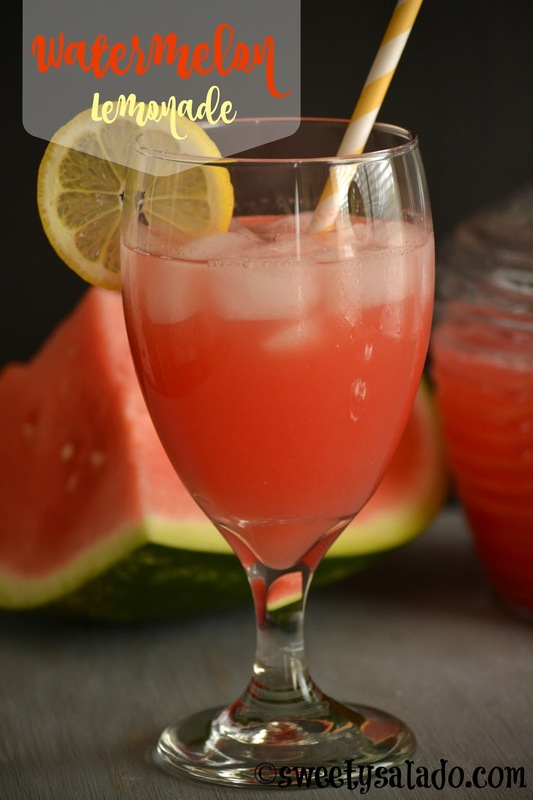 I was planning to post a recipe to make watermelon juice recently, with all the leftover watermelon I had after I made the video on how to cut a watermelon, but in the end, I decided that it would be too basic and ended up just adding some fresh squeezed lemon juice to make watermelon lemonade, which I think it’s a lot more refreshing in the heat of summer. I’m not sure if I told you this before but drinking juice is pretty much the norm in Colombia. A huge variety of fruits is widely available there and people make the most of it. We are always told as kids that sodas are bad for you, which they are, and that we should drink juice instead because it’s healthier, which it really isn’t, given the great amount of sugar they add to it. I usually make my juice using simple syrup because the sugar is already dissolved and in the end, it blends in better with the juice. You can use white sugar if you prefer, so that’s no big deal. And please, feel free to add as little or as much as you want depending on the sweetness of the watermelon and lemons that you’ll be using. Blend the watermelon in a blender. If you want, you can strain it to remove the fiber. 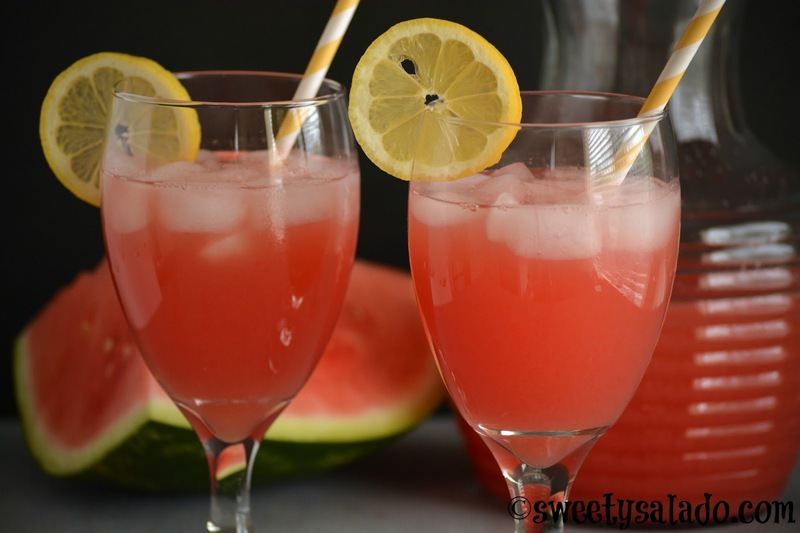 Add the lemon juice, water and simple syrup or sugar to the watermelon juice. Stir well, pour into a pitcher and chill completely in the fridge before serving.